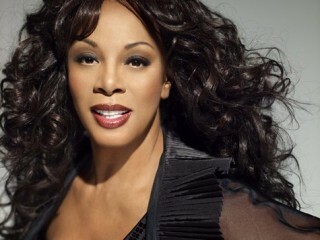 Birthplace : Boston, Massachusetts, U.S.
LaDonna Adrian Gaines, known by her stage name, Donna Summer, was an American singer/songwriter who gained prominence during the disco era of the 1970s. She has a mezzo-soprano vocal range. Summer is a five-time Grammy winner and was the first artist to have three consecutive double albums reach number one on the US Billboard chart. She also charted four number-one singles in the United States within a thirteen-month period. Donna Summer's first U.S. release was, arguably, her most famous recording. The 17-minute disco anthem "Love to Love You Baby," replete with orgasmic moaning sounds, began Summer's undisputed reign as Disco Queen during the 1970s. In the last few years of that decade, she had numerous hit songs and albums both in pop and rhythm and blues. When disco finally faded from the musical scene, Summer became a born- again Christian, revealing a religious side to her music. Although no longer a dominating pop music force, Summer continued to make bankable albums during the 1980s, and her willingness to adapt to currently popular musical styles has suggested that she will continue to generate hits for the remainder of her musical career. In 2008, Summer released her first studio album of original music in 14 years since 1994 (Christmas Spirit); years entitled Crayons, which peaked at #17 on the US Top 200 Album Chart, and achieved modest international success. The album was released on the Sony BMG label Burgundy Records. The songs "I'm A Fire", "Stamp Your Feet", and "Fame (The Game)" reached number one on the US Billboard Dance Chart. The ballad "Sand on My Feet" was released to adult contemporary stations and reached number thirty on that chart. In August 2010, she released the single "To Paris With Love", co-written with Bruce Roberts and produced by Peter Stengaard. In October 2010, the single reached #1 on the US Billboard Dance Chart. Also that month, Summer appeared in the PBS Television Special Hitman Returns: David Foster and Friends. In it, Summer performed with Seal on a medley of the songs "Unbreak My Heart / Crazy / On The Radio", before Summer closed the show with "Last Dance".